What a great place to celebrate Americana on the 4th with flares around the lake, an old-fashioned band concert at the Gazebo, topped off by fireworks! My husband & I had a wonderful, relaxing stay. This is a great place to get away from phones, etc. It has been a fine time! 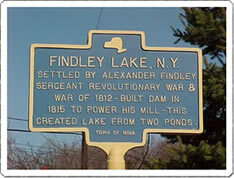 The picturesque village of Findley Lake, New York has become a resort destination for regional vacationers. In the summer, the lake itself is a flurry of boating, fishing & water sport activities. A hometown Memorial Day parade kicks off the summer season highlighted by weekly entertainment at the Gazebo and the 4th of July boat parade, fireworks and festivities. All summer long enthusiastic fisherman troll the lake for perch, catfish, Muskie, walleye, small & largemouth bass, northern pike, blue gill, crappies and sunnnies. The Annual Harvest Festival signals the end of another summer season reminding us that fall foliage is just around the corner. When the National Weather Service reports on Lake Erie's lake effect snowfall, those folks are talking about the weather in Findley Lake. The average snowfall is more than 200 inches per year which makes Findley Lake's winter vistas breathtaking. This is the perfect destination for downhill and cross country ski enthusiasts, as well as snowmobilers and ice fisherman. If your idea of winter is staying warm inside, curl up & relax over a stack of magazines, leather-bound classics or one of the many available board games. Browse the charming, downtown shops and you'll see why Findley Lake has become Chautauqua County's premier, year-round shopping destination. More than a dozen independently-owned specialty shops offer an eclectic assortment of Nature, Country and Victorian gifts, as well as antiques, furnishings and hand-crafted treasures for the home and garden. There's even a candle-making factory and working waterwheel. Enjoy a leisurely stroll around the Lake or venture out onto the water for a day of fishing, birding or water-sports. Plan an outing to the many area wineries and antique shops. If you're looking for a little more action, head over to Peek 'n Peak for a day of golf or to nearby Chautauqua Institution for a day filled with informative speakers and perhaps an opera, symphony or popular music performance. in-store specials, prizes & Santa! 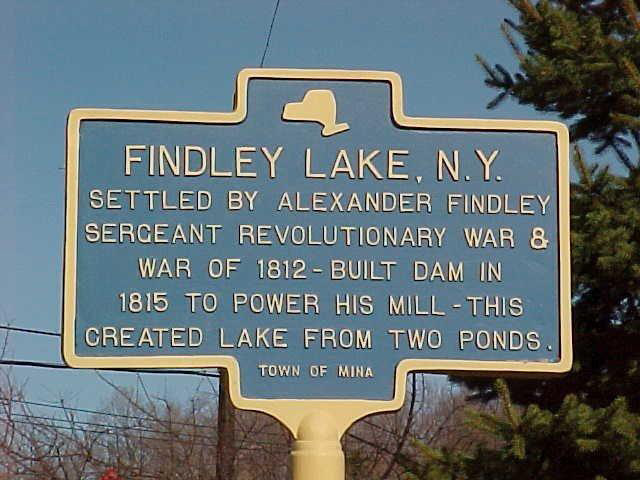 ~ make Findley Lake part of all your seasons!